The 2017 Fiat 500L is a small car that still has a large number of features and options, so take time to go through the list and understand the variations. The 2017 Fiat 500L may share its name with most of the rest of the Fiat range, but it's actually an entirely different vehicle underneath. 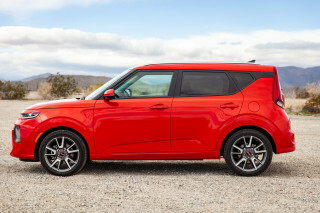 Depending on your point of view, it's either a wagon or a tall five-door hatchback. The 500L shares only an engine with the 500 city car and 500X crossover utility vehicle. For 2017, the trim levels on the 500L have been simplified to a base Pop, the outdoorsy Trekking, and a fully featured Lounge version, dropping the Easy trim that sat just above the base Pop model. To make up for the loss, Fiat's added more features at each of the remaining three trim levels. Fiat has also dropped the manual transmission option for 2017, making it the second transmission removed from service since the 500L went on sale. 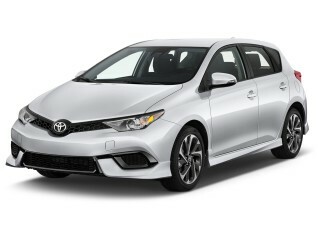 It's now available solely with a six-speed automatic. For one thing, it's an ungainly and awkward-looking vehicle with several design strikes against it. The bulldog-like blunt nose with tiered headlamps and three different sections to its horizontal grille—not to mention a roofline that zigs and zags—make it an eye-of-the-beholder choice. You can decide if the lines work for you. The interior of the 500L works better, because it takes fewer risks. It's organized around a few oval-shaped controls, a small-ish central touchscreen, and lots of big round knobs. On the Trekking version, distinctive trim alludes to off-roading, with brown-and-black accents inside, plus flared wheel wells and 17-inch wheels to distinguish it from the outside. 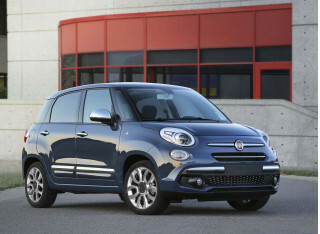 Powered by a 1.4-liter turbocharged inline-4 rated at 160 horsepower and 184 pound-feet of torque, the 500L taxes its powertrain more than the smaller 500 does with the same engine. Power is sent to the front wheels only; if you want all-wheel drive, you'll have to step up to the 500X crossover, which has less interior volume. This year, only a 6-speed automatic transmission is available; the manual gearbox has been dropped, and a much-reviled 6-speed dual-clutch automatic was thankfully ushered out last year. Fuel economy is adequate, but far from stellar: the EPA estimates the 500L at 22 mpg city, 30 highway, 25 combined. Drivers will notice the steering wheel sits at a more horizontal, bus-driver angle than in most cars, which is a quintessentially Fiat quirk. That can make it hard to find the right driving position while keeping the gauges in view. Adding to the frustration are front seats that aren't comfortable. Front seat bottom cushions are hard and rounded off for better pedal access. However, squared-off seats typically offer the leg support demanded by American drivers and which the 500L lacks. Second-row passengers are given higher-mounted thrones from which to observe the goings-on outside. Legroom is more than adequate and reclining seatbacks add to rear seat comfort, but like the seats up front, rearseat bottoms are more than a little firm. Slide and tumble rear seats are available on some models to change the ratio of cargo to passenger space as required. It's the closest any other car comes to the Honda Fit "Magic Seat," though we doubt many Fit buyers will cross-shop this Fiat. Behind the rear seats, the Fiat can swallow two large roller bags with ease and the vertical space can be split like shelves thanks to a floor panel that can slide into side rails. But aside from the very rear, the 500L is severely lacking storage areas in the cabin, offering just two small glove boxes, a shallow tray, and some door pockets for your few items. Despite its lack of power, the 500L is fully competent in handling and roadholding, as you might hope in an Italian car. The simple strut-and-twist-beam rear suspension works well enough. In U.S. models, Fiat has fitted Koni shock absorbers, chosen to damp some of the harsher ride motions that unmaintained roads can toss up. More compliant than the Countryman, the 500L is almost as adept at smoothing out city bumps as the Soul. 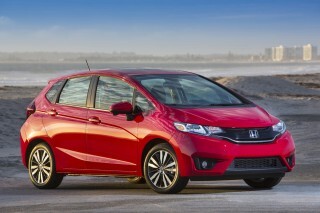 It responds well at highway speeds too, with fluid steering and good stability. In some dimensions, interior room isn't quite as large as expected, but its high roof gives the 500L very good head and shoulder room for all passengers. Like most small wagons, it's best for four adults, with five proving uncomfortable at best, impossible if they're large. 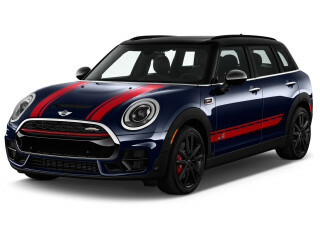 But you won't fit four larger adults into the city-sized Fiat 500 minicar at all; the 500L is 27.7 inches longer and 6 inches wider, with 42 percent more interior volume. 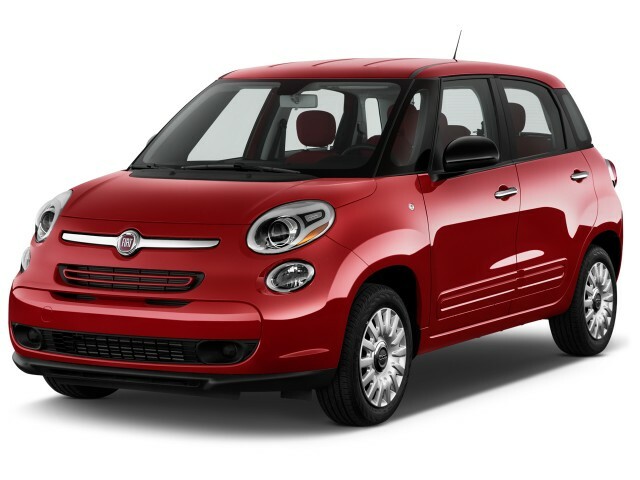 The 500L is fitted with seven airbags, active headrests, and stability control as standard. It was an IIHS Top Safety Pick when it launched four years ago, but it lost that designation after a "Poor" rating on the tough small-overlap frontal crash. The NHTSA hasn't tested the 500L at all. A rearview camera is available, along with rear parking sensors. One major plus: the outward visibility is great—and the dual-pane sunroof option, about the size of a double-hung window, floods the cabin with sunlight. For 2017, the 500L trimline is simplified to in Pop, Trekking, and Lounge. All versions include air conditioning, cruise control, tilt and telescopic steering wheel with mounted controls, and a sliding multi-position panel for the cargo area. A six-speaker Uconnect 5.0 infotainment system is the base audio system, consisting of a 5.0-inch touchscreen, voice command functionality, Bluetooth audio, hands-free calling, and inputs for USB and auxiliary audio. 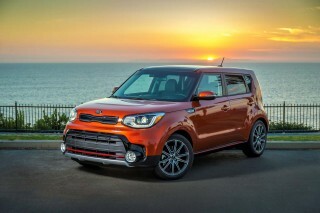 Trekking models bring "rugged" appearance items to butch up its exterior, including unique 17-inch alloy wheels, more aggressive wheel well cladding, fog lights, and two-piece front/rear fascias, plus a two-tone black/brown interior with low-back bucket seats that can't be had on any other trim. Finally, top-level Lounge models include fog lights, dual-zone climate control, leather seating, power/heated front seats, driver lumbar adjustment, and enhanced split-folding rear seatbacks with fore-aft/recline/tumble adjustment. Fiat offers customization options familiar to Mini shoppers, including contrasting-color roof treatments and various wheel designs. 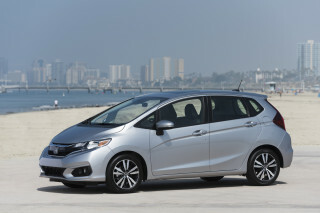 Each trim level has a handful of available "Collections," which bundle highly desirable options like navigation, rear parking sensors, sunroof, satellite radio, and rearview camera at a slight discount. A Beats Audio system is also available, and the Urbana Appearance Package for the Trekking model adds black wheels, trim, and accents. An available Uconnect 6.5 system provides a larger 6.5-inch screen, an SD card slot, text-message readback, and dealer-programmed navigation. The navigation is rudimentary, the screen remains small, and the maps themselves are hard to scale quickly. A good smartphone and a suction-cup mount is a better solution. Thoroughly enjoying our new car. This car had all the feature we were looking for. The price was a fair price for these features. The gas economy is good and look forward to taking it on a road trip soon. The interior is very roomy. Love all... This car had all the feature we were looking for. The price was a fair price for these features. The gas economy is good and look forward to taking it on a road trip soon. The interior is very roomy. Love all the glass so you have a very clear view all around you. Looking for a different year of the FIAT 500L?